Yes, it’s that time of year again. The holiday season is upon us and people are baking up a storm. I decided that the 12 Days of Cookies that I started last year would be an annual event because it was so much fun and friends who have liked us on the 365 Facebook page really enjoyed it when we did it in September. For our first day, I thought the combination of some seasonal flavors might go well in a sugar cookie, so that’s how I came up with these. I combined some fresh cranberries with some crystallized ginger for this little treat. 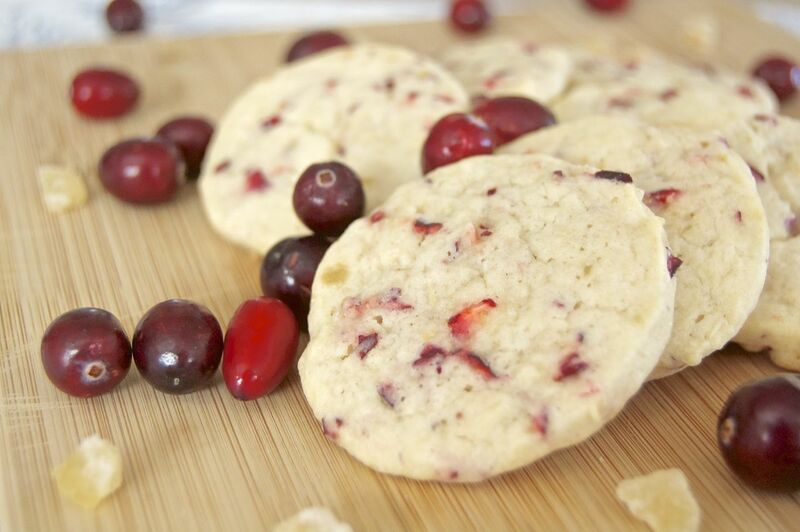 SAVE THIS CRANBERRY GINGER SUGAR COOKIE TO YOUR FAVORITE PINTEREST BOARD! Adapted from my Fannie Farmer Cookbook, Thirteenth Edition, p. 837; authors, Jean Anderson, and Elaine Hanna; publisher, Doubleday, a division of Bantam Doubleday Publishing Group, Inc., an imprint of Random House, Inc.; ISBN 0-385-19577-X. 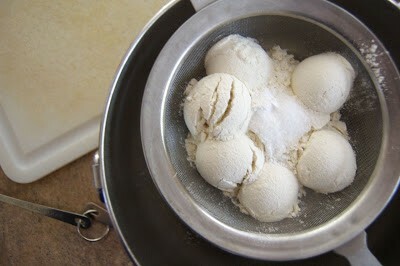 In the bowl of a mixer fitted with the paddle attachment, cream the butter, sugar, and vanilla until light and fluffy. Add the egg, cranberries, and crystallized ginger until thoroughly combined. Gradually add the flour and mix on lowest speed until just blended. Place a piece of plastic wrap on the counter and place half of the dough onto it, shaping it into a log about 2-inches in diameter. Chill for several hours in the refrigerator until firm. Preheat oven to 375 degrees F. Cut into slices about 1/4-inch thick and place on a baking sheet lined with parchment. Bake for 10 minutes, until firm, but not browned. I usually have a problem with slice and bake cookies becoming flat on one side, so I stuck each log into a half of a paper towel roll. Joan from Chocolate, Chocolate and More Chocolate shared that little tidbit with me and it worked like a charm! No more flat sided slice and bake cookies for me!! Thanks, Joan!! You can never have too many cookie recipes! Here are some that you need to put on that long list. 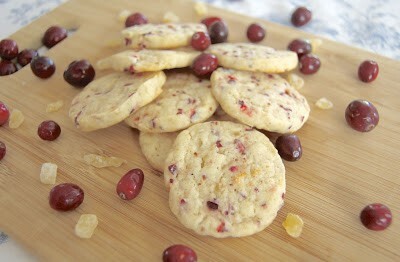 I rate everything I bake on a scale of 1-4 with 4 being the best and these Cranberry Ginger Sugar Cookies earned 3 1/2 rolling pins. 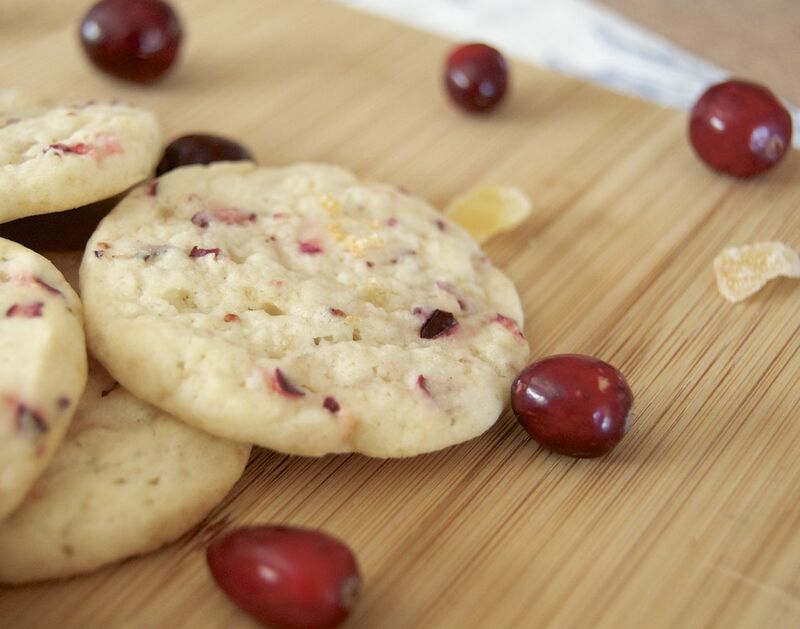 I thought the cookies were going to be too tart with the cranberries, but the flavor balanced out quite nicely and I like the zing of the ginger in them, too! 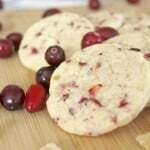 The cookies were a tad bit pinkish because of the cut up cranberries which I thought was pretty cool for this time of year. I’ll definitely be making these again. 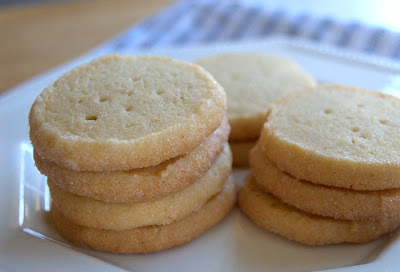 Sugar cookies are always a great standby, but it’s nice (I really hate that word, it just sounds so trite) AWESOME to kick them up a notch and add some zip to them! The 12 Days of Cookies Party is in FULL SWING on the 365 Days of Baking Facebook page, so be sure to visit us and see all of the absolutely INCREDIBLE cookies people are sharing, And remember to hit that “Like” button if you haven’t already!! I’ll also be pinning each of the recipes posted on FB to the 365 Days of Baking Pinterest page, so be sure to follow me! See you tomorrow for Day 2!! Crystallized ginger is amazing! I’ll bet it tastes wonderful with the cranberries and the sugar cookies. I love sugar cookies! I also love that tip from Joan. Going to have to use it. Awesome! I love cranberries and I have left over berries. I was going to make bread, but these look better. Thanks for sharing! Where can you buy crystallized ginger? I’ve never heard of it. I live in Ontario, Canada. where do you find crystalized ginger? is it with the other spices on the shelf with gr. ginger? never heard of it? I would love to try these cookies! Dawn, I get my crystallized ginger in the spice aisle with all the other spices. You can purchase it on Amazon as well. Recipes look good and easy. Would this work with dried cranberries? Cecilia, I don’t see why it wouldn’t. Let me know how it goes and enjoy them! Where can I find crystallized ginger? Janine, I always find the crystallized ginger in the spice section of my grocery store’s baking aisle or I’m sure you could purchase it online from Amazon. Please consider adding a “print” option. That would make it so much easier to use the recipes. Wanda, I’m in the very slow process of transferring all of my recipes so that they are print-friendly. I’m a one-woman show, so it’s very slow and tedious, but it WILL get done. 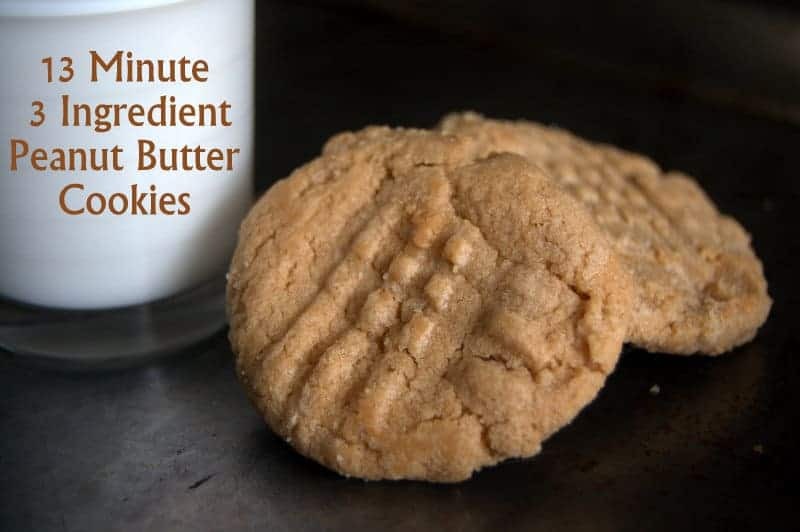 Until then, any recipes that don’t have the little button, you can go to this website: http://www.printfriendly.com/ , copy and paste the url of the recipe you want to print and then select if you want the images printed as well. Hope that helps! I mixed these yesterday and baked a few of them yesterday, without refrigerating the dough. I didn’t have any problems using it that way, but, because I’d also made brownies, I didn’t feel like baking all of them, so I put the rest of the dough in the fridge for overnight. Now, here’s what I did. I followed the recipe. I didn’t roll the dough out, I used my small scoop and made small mounds then I flattened them into nice little round disk. So, here’s what I can tell you. These are really good, but if you want to take them over the top, ice them with a bit of Lemon Frosting. That was my husband’s idea. I was skeptical, but I decided to try it. And wow, was he ever right. Awesome. It complimented the cookies super well. Yes, I will be making these again. My batter is quite crumbly and dry. I’ve made it as the directions say. Am I missing something or is it supposed to be like that? I’m sorry to hear that. I haven’t had that issue when I’ve made them nor have I heard any other complaints, but things can happen. Was the batter crumbly and dry before you placed it into the fridge or after? If it’s dry before refrigeration, I’d add a teaspoon of milk at a time just until the batter comes together. You don’t want to add too much as it will become too moist. Hope that helps and that the cookies turn out ok! I have made 3 batches so far. The second batch I made I used Cheryl’s method and that worked best for me. The 3rd batch I added a cup of chocolate chips. That worked out really well, I am taking these to my yearly cookie party next weekend. I am taking some with the chips and some without. These are so amazing, I will be making these often. I can’t stop eating them! Great idea about the chocolate chips – maybe I’ll have do make a version like that for next year. Wishing you a fantastic 2016! Would fresh ginger work in this recipe instead of the cristallized one ? Carmela, I think the fresh ginger would be too strong as the crystallized contained some sugar. If you try it, please let me know what you think! An all-purpose flour will be fine, Ann. These sound amazing! 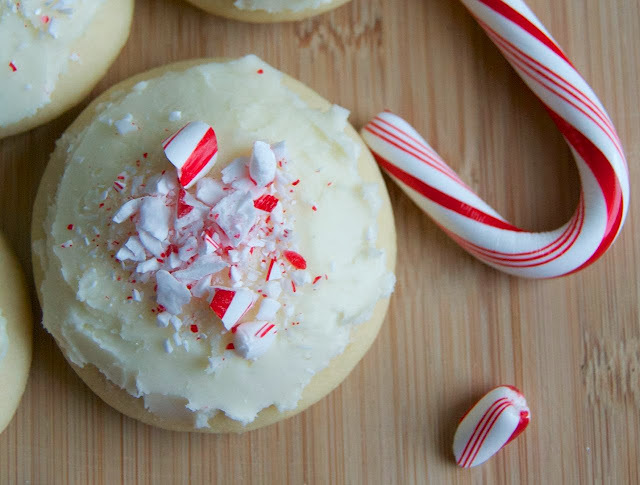 I would love to try them for my annual Christmas cookie swap coming up. However, I don’t have a mixer with paddle attachment – I only have a hand mixer with the beater attachments. Any suggestions on equipment substitutions? Should I just mix the ingredients with a wooden spoon? Holly, you’ll be perfectly fine with a hand mixer. I just was in a habit there for a while writing “in a mixer fitted with a paddle attachment” which wasn’t really necessary. Your hand mixer will be perfect. If you find the batter does get too thick for the beaters, just mix the rest of it together with a wooden spoon. Hope you like them! I’m confused. Is THIS recipe supposed to yield 4 dozen cookies? Or are you saying that the ORIGINAL recipe yields 4 dozen and YOUR recipe is half of that? Because unless these cookies are VERY small, there’s no way I’m getting 4 dozen out of this. Please clarify as I was going to make these for a group but now I don’t think I’ll have enough. Renee, the original recipe made about 7 dozen and when I’ve made them, I’ve gotten about 4 dozen cookies, out of the dough, cutting them from the 2 2-inch wide logs to a diameter of 1/4-inch thick or slightly less. And I say about because it was probably 3 – 4 cookies less than an exact 4 dozen. Hope that helps. HAS ANYONE PUT WALNUTS IN THIS RECEIPE?